What are your retail business hours? Our business is open to the public Mon-Fri 9 am to1 pm and Saturday 9 am to 4 pm, unless by appointment or using our self service nursery quide. We are located at 8677 Wagner Creek Road, on the left if you are coming from Talent, OR. When you take a left, our parking lot is located on the left, about 300 feet in. View the Farm Tour page for more specific directions! When do you reccomend I fertilize my trees? We like to fertilize our trees on three of our favorite holidays: Valentines Day, Fourth of July, and Halloween. When can I pick up my compost order? Do I qualify for a wholesale discount if I am a contractor? Wholesale pricing discounts are determined by dollar amounts. View our wholesale pricing regulations here. info@plantoregon.com is a great email to choose if you have questions about inventory, appointments, orders, specials, pricing, consultation requests, and general questions. holmac@plantoregon.com is the email to choose if you have a Holmac parts order or problem, or if you are interested in purchasing a Holmac machine. dan@plantoregon.com is Dan Bish's personal email, and this is a great choice if you have a question specifically for him, or if you'd like to say hi! What is a "multi-stem" ? 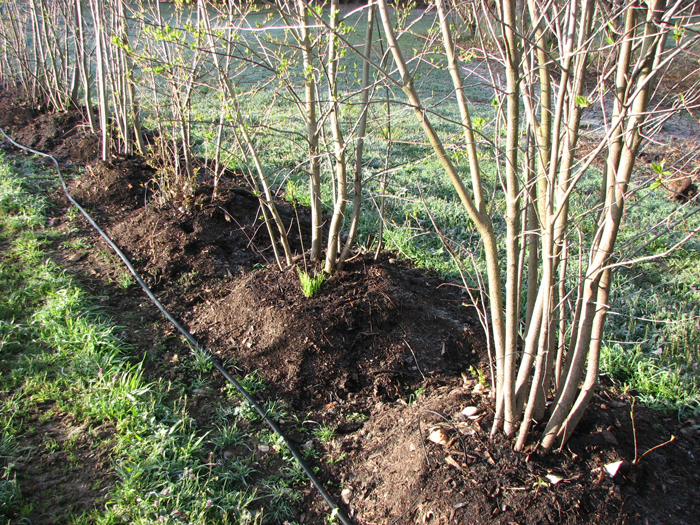 A multistem can be defined as a collection of multiple stems that emerge at or near the soil level. These plants are priced differently than plants with a single stem. View the Orders and Information page for a detailed pricing breakdown.